Quality, in conjunction with effective communication and qualified staff, is the main pillar of the company’s overall philosophy. Throughout the company’s processes, our employees attend, above all, to the quality of products, services provided and customer care. Feedback from our customers is the main criterion for improvement at all organisational levels. We also put a great emphasis on communication with customers at all company levels. 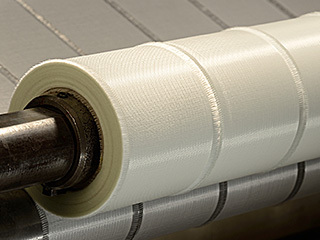 We are ready to meet the demands of customers for the production of substandard structures and fabric widths, including tapes and combinations of different fibers. Our products meet the highest quality products and all are certified “State certification authority of the Czech Republic for the products”. UNIQUE Textiles, s.r.o. is a purely Czech company engaged in the manufacture of technical fabrics and fibreglass reinforcements that are used in composite materials. The company was established in 1998. 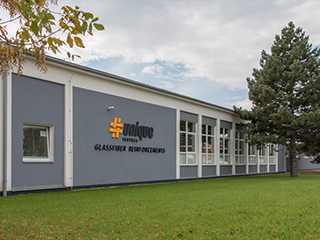 Production is located in Holešov, in the eastern part of the Czech Republic. We are a weaving factory with more than 15 years of experience in the field. Our current products include a full range of fibreglass fabrics, woven roving fabrics and a wide range of combined materials. We also specialise in weaving glass filament, roving and hybrid tapes and fabrics with specific fibre structures. 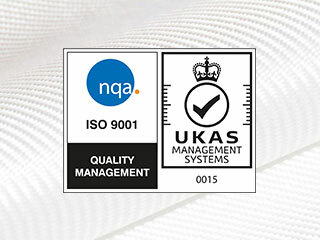 The company has a certified ISO 9001 quality management system. We are ready to cater to specific customer requirements for the production of non-standard designs and widths of glass fabrics, including tapes and various combinations. Via our business venture, we want to achieve lasting stability, prosperity and confidence among our customers as well as our employees. The company’s mission is to realise and support all activities in the field of industrial fabric manufacturing. We seek to create a strong corporate culture based on the company’s unity and the joint efforts of all its employees in order to achieve high-quality customer services. Our goal is to be a stable and reliable partner for all our existing and future customers.